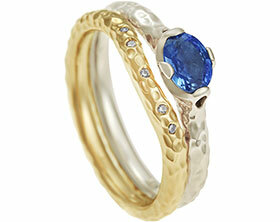 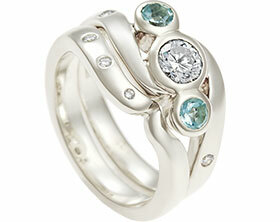 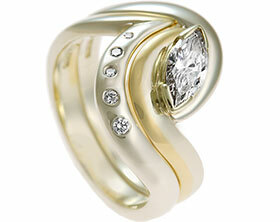 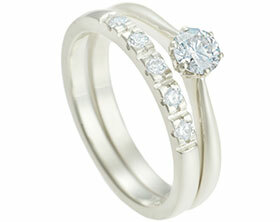 Alison had a beautiful engagement ring designed by us previously and wanted a matching wedding ring. 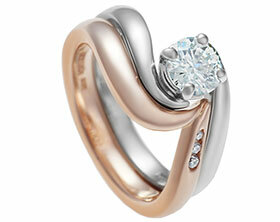 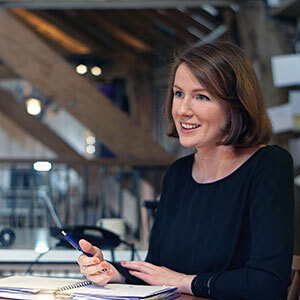 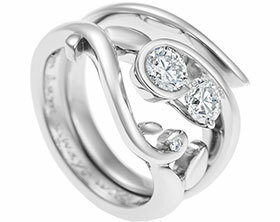 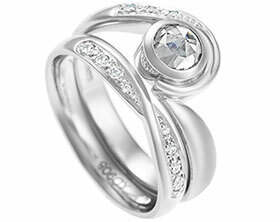 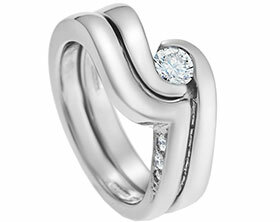 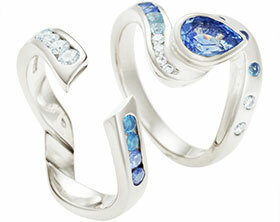 She chose the same warm 9 carat white gold as her engagement ringto create a perfect match. 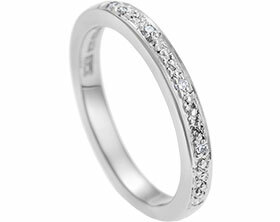 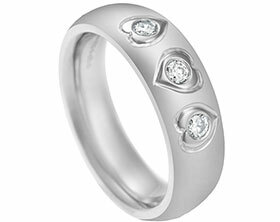 Seven 1.5mm brilliant cut diamonds, totalling 0.12 carats, have been invisibly set in an equally spaced formation, across the front of the band. 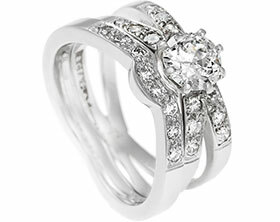 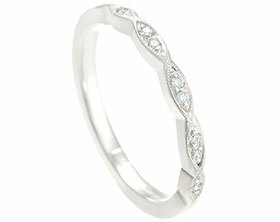 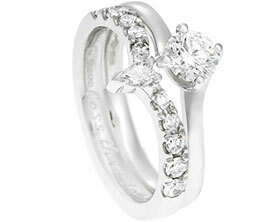 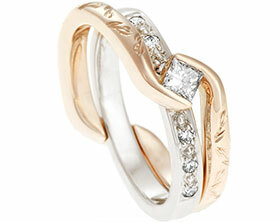 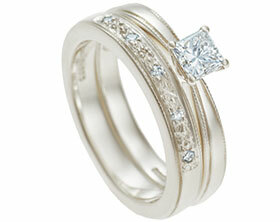 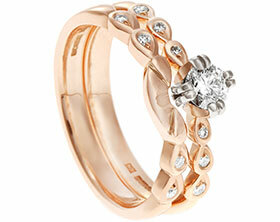 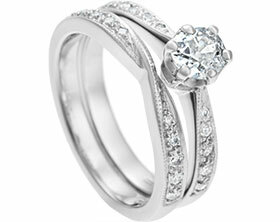 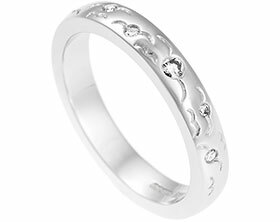 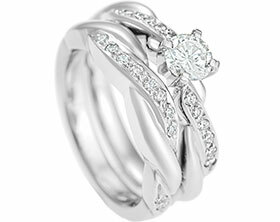 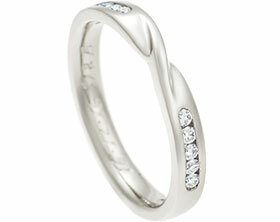 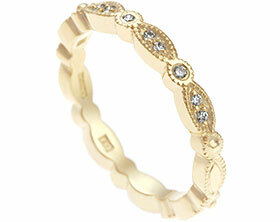 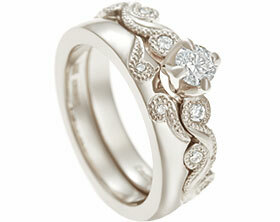 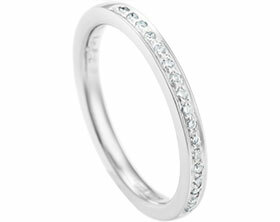 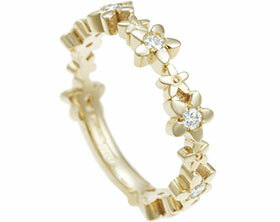 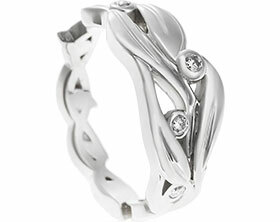 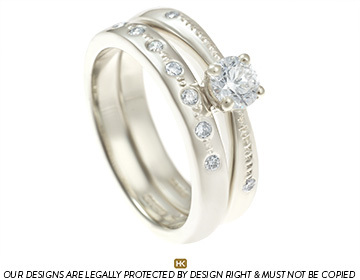 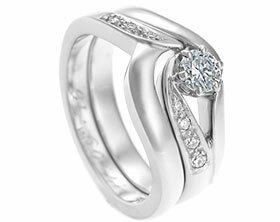 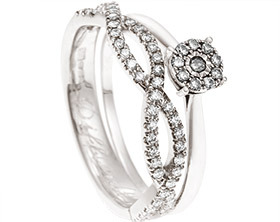 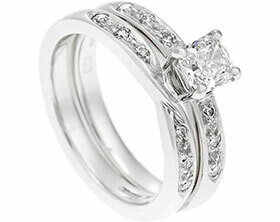 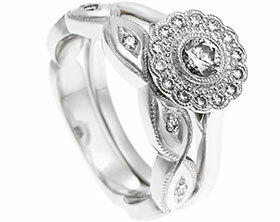 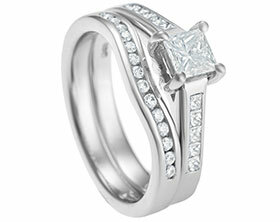 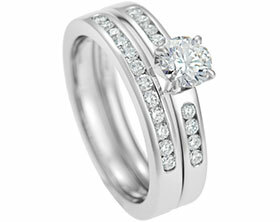 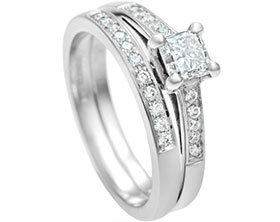 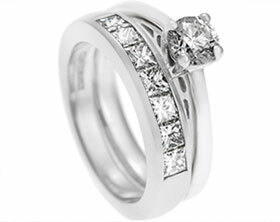 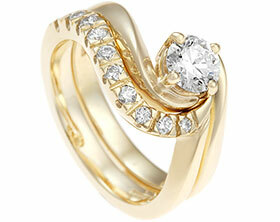 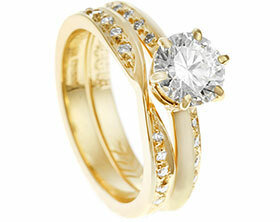 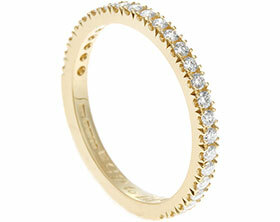 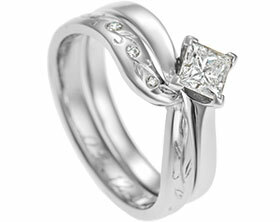 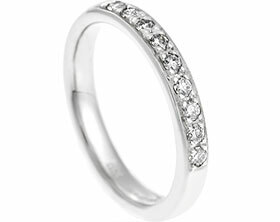 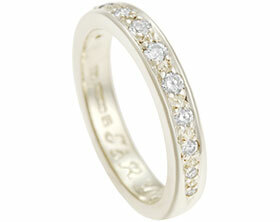 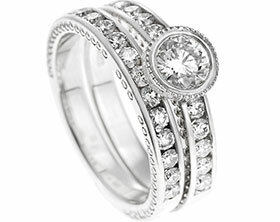 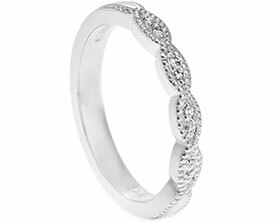 Delicate graining detail has been added in between each diamond. 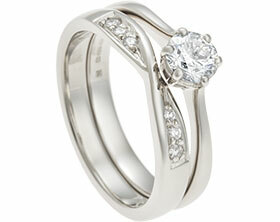 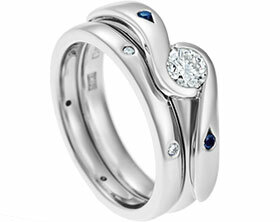 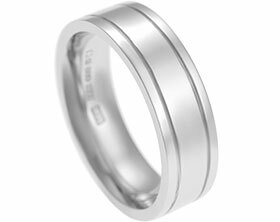 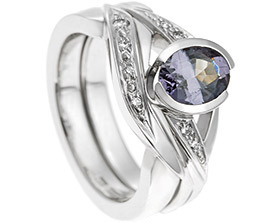 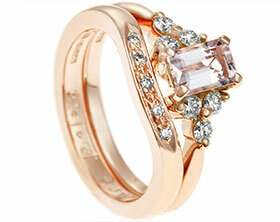 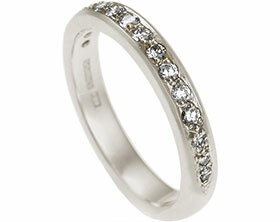 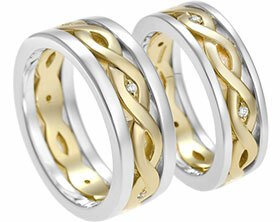 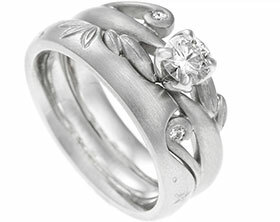 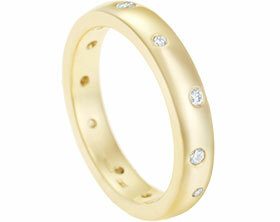 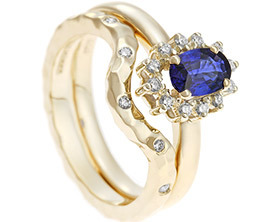 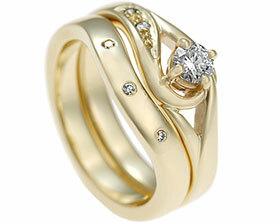 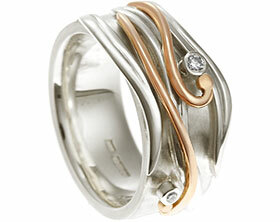 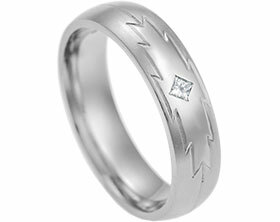 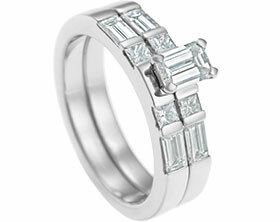 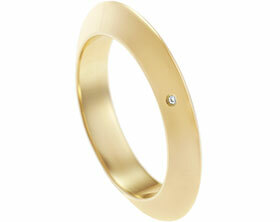 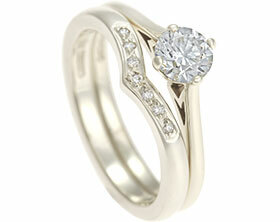 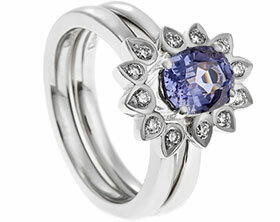 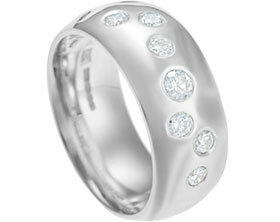 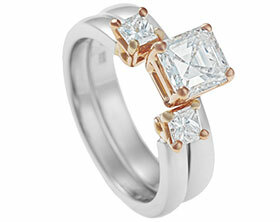 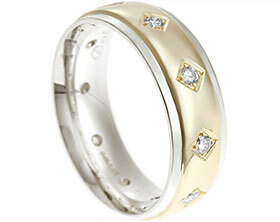 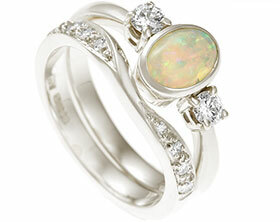 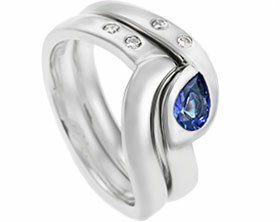 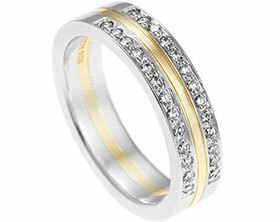 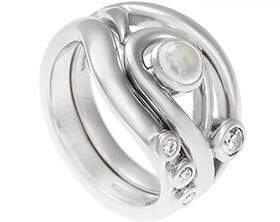 A polished finish without rhodium has been used to retain the metal's natural creamy colour.